HomeUncategorizedHistory created in Flying 11s! In a nice twist, this is Zoe’s second Nationals win, having crewed for brother Jesse when they won in 2016 also in ‘Nomad’. The Flying 11 Class has always enjoyed a high female participation rate and at this year’s Nationals, 40% of the 142 sailors were girls. Many of Australia’s top female sailors have learned their race raft from the Flying 11 class including names such as Lyndal Coxon, Vanessa Dudley, Jacqui Bonnitcha, Nicky Souter, Olivia Price, Lisa Darmanin, Natasha Bryant and Emma Jones. 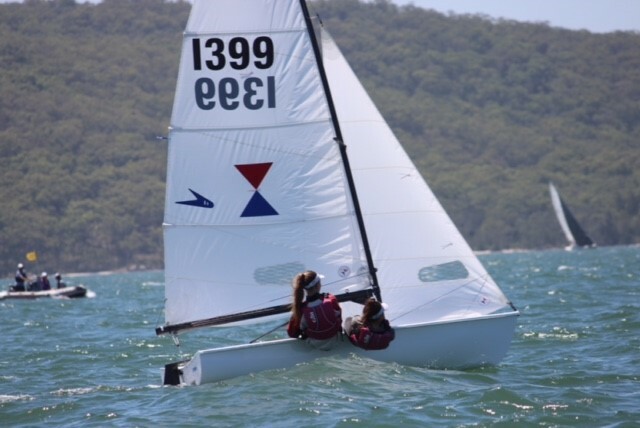 Around half of the current crop of NSW YST females in the Nacra, 29er and 420 classes are ex-Flying 11 girls. Zoe Dransfield has just sailed her first season in the 29er class with brother Jesse crewing and has now paired up with Madelaine for the coming season.